Holiday is the time I gave myself a pass to eat whatever I want. So January is a difficult month for me to get back to my diet which involves portion control and a little bit of cardio. Nghỉ lễ là dịp mình cho bản thân được tự do ăn uống thoải mái nên tháng Một thật sự là một tháng khó khăn khi mình trở lại chế độ ăn "kiêng". Về cơ bản là hạn chế khẩu phần và một chút vận động cardio. 7.45 am My morning starts with a cup of coffee. I always make coffee first and then get ready for the morning. I drink coffee while doing makeup, preparing school lunch for Helen and driving her to school. Mình bắt đầu buổi sáng bằng một ly cà phê sữa không đường. Luôn luôn thế. Sau đó mình trang điểm nhẹ, chuẩn bị bữa sáng cho con gái, và đưa con bé tới trường. Mình mang theo cà phê để vừa đi, vừa nhâm nhi để có đủ năng lượng cho buổi sáng. 1 pm I had salmon sashimi for lunch. Cá hồi sống với xì dầu và washabi cho bữa trưa không "đạm bạc". 4 pm I'm on the mood of cream buff and a half of a juice bottle. Buổi chiều ăn vặt với bánh xu kem và nửa chai nước ép rau củ quả. 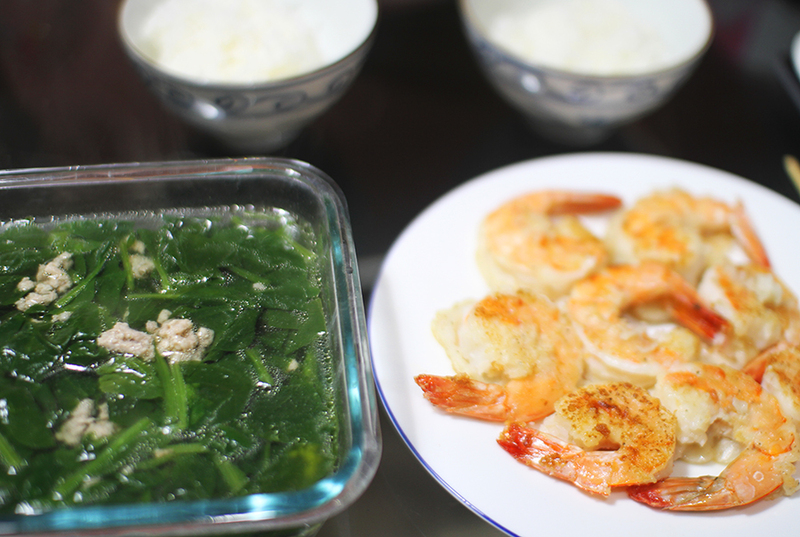 7 pm I made dinner with a spinach soup and kind-of shrimp tempura. Mình nấu canh cải bó xôi với thịt bằm và tôm tẩm bột cho bữa tối. 8.30 pm After getting back home from Helen's swimming class, I treated myself with a bowl of strawberries which were surprisingly super sweet. Sau khi đưa con gái đi học bơi về, mình tự thưởng cho mình một bát dâu tây ngọt lịm. I feel like this is an epic food day!!! As a girl, I LOVE this post! The title reminded me of how to lose a guy in ten days: tell him what you ate all day! Sounds like great day to me! I love your blog! Looks delicious and super healthy! Thanks for sharing! I am loving these posts! Everything looks so yummy I am getting hungry! yes! i need to eat more healthily too! You're so good at being healthy! The sashimi looks delicious! Getting back into the swing of things can be so hard! It looks like you're doing a great job though! Miammm that looks all so delicious! Seems you're doing very well on the healthy life! Ah you made me so hungry!! Looks so tasty! Thank you for sharing and making my tummy growl :) Have a wonderful week ahead! Looks great! 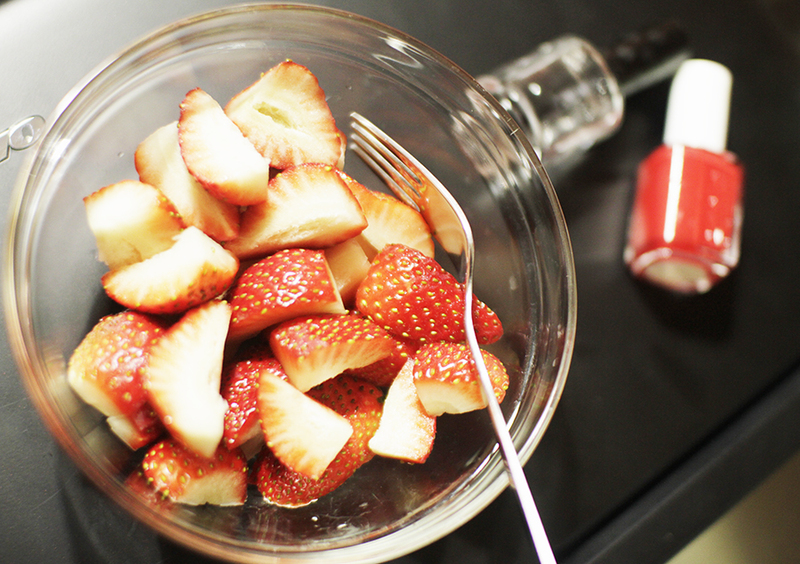 Love those strawberries!!! Have an excellent day! Looks like 2016 is off to a healthy start for you! I agree, getting back into the swing of things is hard, especially when it comes to food! LOL! Awesome foods, dear. Happy New Year 2016. What a healthy diet! No wonder you stay so slim! Inspriring! Great post idea!! Thanks for sharing! So healthy! I'm really trying to wean myself off snacking constantly; it gets bad especially around the holidays because there's just food EVERYWHERE. Great post! The food looks delicious! Not sure if I could survive mornings without food but I should try it. That salmon looks so good! Wow my mouth is watering from this, especially the salmon!! I am trying to eat healthier too, thanks for motivating me! Everything looks so delish yet so healthy! omg the sashimi looks SO good. yum! Im hungry now and it all looks very healthy!! Seeing this photo of the sushi has me craving for one... I badly want one! Amazing food, this looks really delicious, want to have a taste! YUM YUM. looks so good! You eat so healthy! It looks so good. This all looks delicious! Hahah, I'm exactly the same way about coffee. It's the first thing I have to have every morning! This all looks so healthy Trang! Very healthy day! I love strawberries too!! 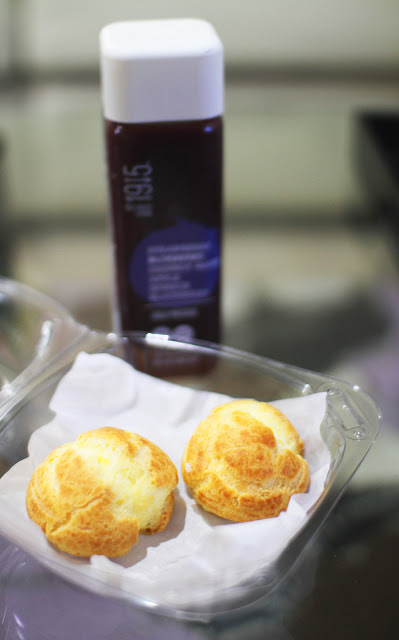 Looks healthy, nothing wrong with a little cream puff here and there. I need to practice some control! Love the pictures! this looks so delicious and sooo healthy!! Omg everything looks delicious and super healthy! Hi there, I really need your help! My Youtube channel is a project for University and my grade for the course depends on how much engagement the videos/channel has. It would mean the world to me if you could check it out, leave some comments/likes and if you like what you see, please subscribe (I need 250 subscribers by Friday, eek!). I would of course return the favor! Thank you from the bottom of my heart in advance! Serious yum! Those cream puffs look delicious! OMG, this all looks so delicious, those shrimps made me hungry. Thanks for sharing! This all looks super delicious! It looks and sounds so tasty! I love sashimi and sushi! I started eating whatever I wanted over a month before the holidays so my body is struggling right now >.< Thanks for sharing your eating journal, I needed some inspo! those cream puffs look so yummy! An absolutely delicious day!! Those strawberries look amazing! OMG. It's currently 6am here and I'm craving for salmon sashimi because of your post. I must get one for lunch. Haha! I really loved the idea of this post and all the healthy choices you made, girlie. Well done!! I can't start my day without a cup of coffee, such an addict haha. Your lunch looks out of this world, would happily have it now at midnight lol. yummmmyyy! I'm totally craving sushi now! Okay I am definitely hungry now lol. I have to find something for lunch. Loving your food and these photos. Yum, you got some delicious food here; I love shrimp tempora, you've got me craving it now, haha! Thanks for sharing, beauty, and I hope you have an amazing weekend! Looks like a perfectly balanced meal - especially the sashimi! Wow, everything looks super yummy and your photos are amazing! This is so healthy, wish to be more healthy like you. 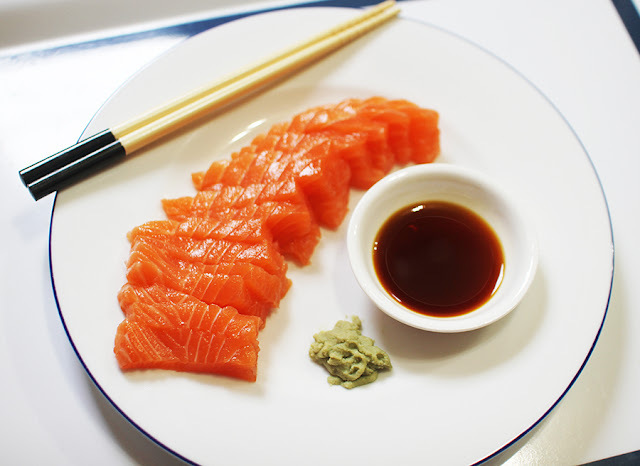 Your post is seriously making us hungry right now, that salmon sashimi looks amazing! Great pics! Great post! Thanks for sharing and feel free to visit our blog for the latest in the eyewear industry! This post looks so delicious and healthy! Great post babe! Everything here looks super delicious! Hope you have a wonderful week! Great post! I like your bag!! All the food looks delicious! I could eat salmon sashimi for lunch and dinner everyday! gnam, gnam...love salmon sashimi sooooo much. Really great post. I live by the Urban Decay setting spray. Its soon good. LOVE the girlfriend jeans!! And I practically live in those linen tees!!! Ahhh, the salmon looks so delicious and strawberries are my favorites! Looks super tasty. OMG I'm so hungry now. That salmon looks so good! I think I'm hungry. 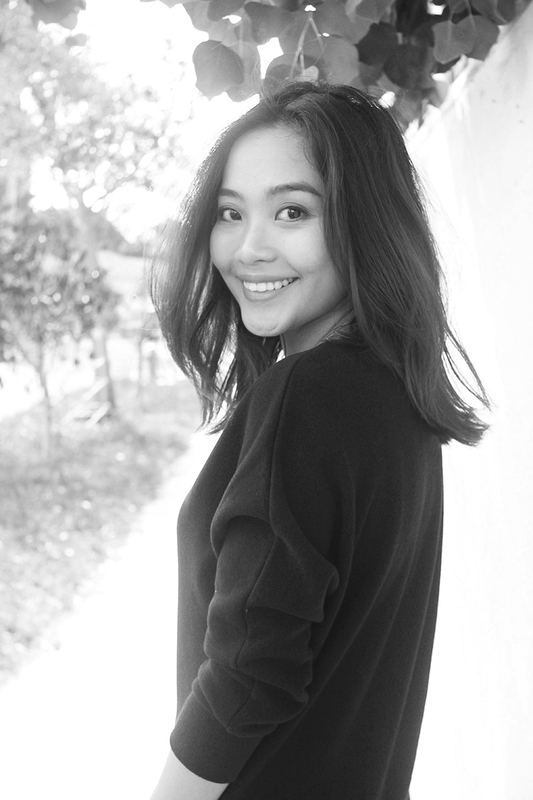 No wonder you are so beautiful! And beautiful photos you have got here.